India has modest uranium reserves, whereas it has one of the largest thorium reserves in the world. Thorium, despite its greater abundance in nature and a number of superior characteristics, lags behind use of uranium as it does not have any fissile content. The fertile thorium-232 has to be converted into uranium-233 first for use in a nuclear reactor. Considering the country’s vast thorium resources, the long-term nuclear energy policy of India has been focused on utilization of thorium early on. A three-stage nuclear power program was drafted already in the 1950’s. One of the most efficient systems to utilise uranium-233 is the self-sustaining Molten Salt Reactors (MSRs). This is being considered as an attractive option for large-scale deployment in the third stage and studies on conceptual design of the Indian Molten Salt Breeder Reactors (IMSBR) have been initiated. The first stage makes use of the limited uranium resources, most optimally in Pressurized Heavy Water Reactors (PHWRs) to produce energy as well as plutonium. In the second stage, this plutonium is to be used in Fast Breeder Reactors (FBRs) to generate power and also to produce additional plutonium from depleted uranium. This helps in multiplying the fissile resources as well as the installed nuclear electricity generation capacity. When the required capacity addition has been achieved, at an optimal time, thorium is to be introduced in the blankets of FBRs to produce uranium-233. The third stage of the Indian nuclear power program contemplates using this generated uranium-233 in advanced self-sustaining thorium-based reactors. However, the time frame in which thorium can be deployed has to be carefully selected. Introducing thorium in the first stage or early in the second stage of the programme will adversely affect the rate of growth of the nuclear power generation capacity. The large scale deployment of thorium is therefore expected to be about three to four decades after the commercial operation of Fast Breeder Reactors with short doubling time, when thorium can be introduced to generate uranium-233. All efforts in technology development and demonstration aim at having a mature technology available in time. A road map for developing technologies for the third stage has been evolved to meet objectives in medium as well as long-term time frames. An important element in this roadmap includes demonstrating the use of thorium on an industrial scale in Advanced Heavy Water Reactors (AHWR). This has the benefit of adopting many of the mature technologies currently in use in existing reactor systems, and will provide a platform for developing advanced thorium cycle technologies. The AHWR is a 300 MWe new generation boiling light water cooled and heavy water moderated vertical pressure tube type reactor. The reactor is designed with the dual objective of utilization of abundant thorium resources and to meet the future demands to nuclear power such as enhanced safety and reliability, improved economics and a high level of proliferation resistance. It has many passive and inherently safe features so that the reactor can be located close to population centres. 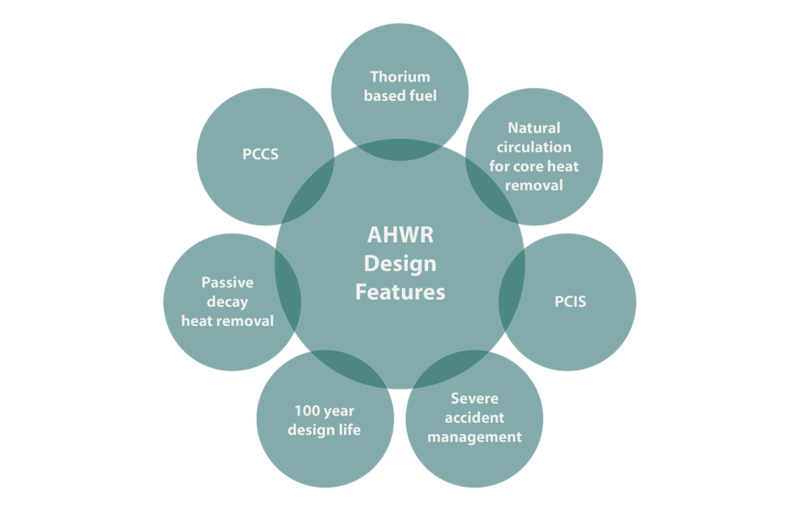 The experience from the AHWR will be an important step towards development of long-term sustainable thorium-based systems. One of the most efficient systems to utilise uranium-233 is the self sustaining Molten Salt Reactors (MSRs). This is being considered as an attractive option for large-scale deployment in the third stage, and studies on conceptual design of the Indian Molten Salt Breeder Reactors (IMSBR) have been initiated. The first stage of India’s nuclear power programme involved the development of natural uranium -based PHWRs of standardized 220MWe and 540/700 MWe designs. The designs of these reactors have progressively improved taking into account our own operating experience as well as that of PHWRs in other countries, and enhanced safety features evolved internationally for current generation nuclear power plants. At present, 18 such reactors are under operation, four units of 700 MWe capacity are under advanced stage of construction, and several others of 700MWe capacity are being planned. The spent fuel from these PHWRs is being reprocessed and the depleted uranium and plutonium obtained in this manner is being used to fabricate MOX fuel for FBRs. The preparation for the second stage began with the construction of a Fast Breeder Test Reactor (FBTR) at Indira Gandhi Centre for Atomic Research, Kalpakkam. 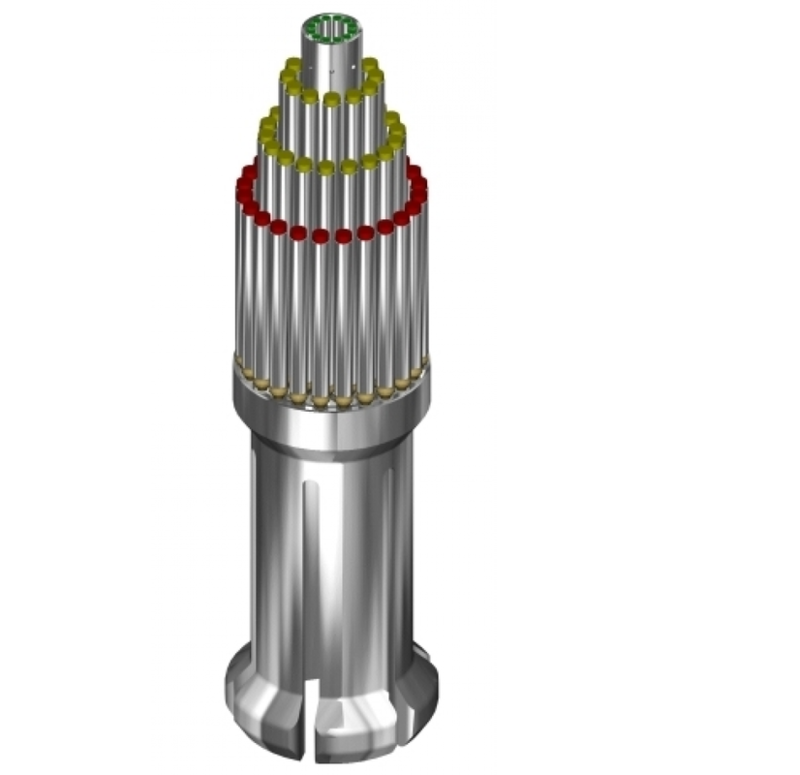 This reactor, operating with indigenously developed mixed (U+Pu) carbide fuel, has provided a large volume of operating experience and a better understanding of the technologies involved, and has enabled the design of commercial FBRs. As part of the second stage, a prototype 500MWe FBR is in advanced stage of construction at Kalpakkam, and is expected to become critical this year. Considerable research work has also been carried out in the area of fast reactor fuel cycle technology and a Fast Reactor Fuel Cycle Facility (FRFCF), co-located with PFBR, is being constructed to reprocess and refabricate fuel for FBRs. These experiences will be used for further evolutionary and innovative improvements in the fast reactor designs and associated fuel cycle technologies to obtain higher breeding ratios. 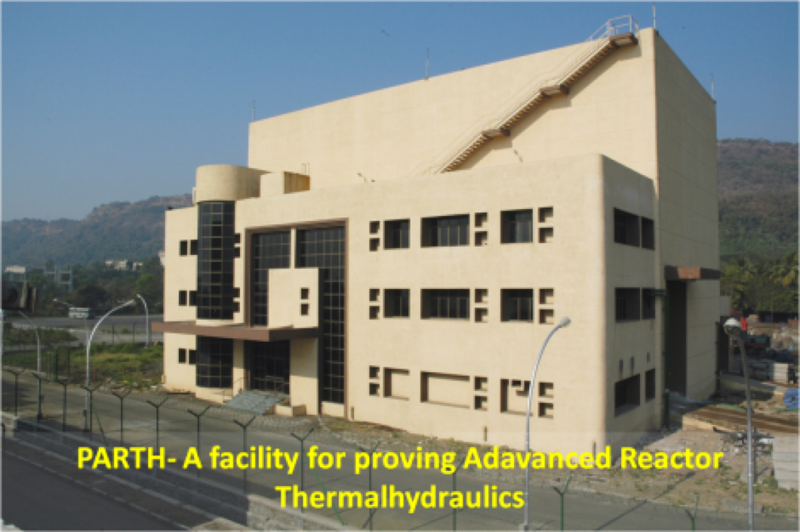 In preparation for the third stage, development of technologies pertaining to utilisation of thorium has been a part of the ongoing activities at BARC. With sustained efforts over the past many years, experience over the entire thorium fuel cycle has been generated. These include a number of experimental irradiation of different thorium based fuels in research reactors, use of thoria bundles in a limited way in PHWRs for initial core flux flattening, and laboratory studies on fuel fabrication and reprocessing. An experimental uranium-233 fuel -based KAMINI reactor has been constructed and is at present the only reactor in the world operating with uranium-233 fuel. As part of the efforts to scale up the thorium fuel cycle experience, work on AHWR is being pursued. The reactor design is based on well proven technology, adopted from pressure tube type reactors for which extensive operating experiences exist in India. At the same time, the reactor design incorporates many passive systems and first-of-a-kind features which enhance reactor safety so that the reactor can be located close to population centres. For this, extensive validation of these features in integral and separate effect test facilities is required. 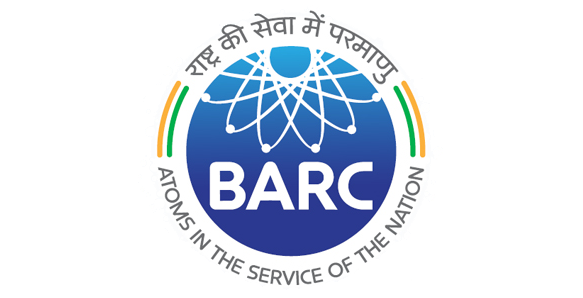 An extensive experimental programme for generation of data on behaviour and operational aspects of such systems as well as to demonstrate their effectiveness to meet the design objective has been undertaken at BARC. The pre-licensing review of AHWR design has been completed by the national regulating authority, the Atomic Energy Regulatory Board of India. The pre-project activities related to site selection for AHWR have been initiated. A report was prepared for setting up a new (Th-LEU)MOX fuel fabrication plant. An experimental assembly with AHWR type (Th-Pu)MOX fuel pins completed its test irradiation, and another with (Th-LEU)MOX fuel pins has been loaded in our research reactor, Dhruva. An engineering-scale Power Reactor Thorium Reprocessing Facility (PRTRF) has been constructed at Trombay to reprocess thoria fuel bundles irradiated in PHWRs, and is under commissioning. Commissioning / Criticality of the prototype FBR at Kalpakkam. This will be an important milestone towards realizing India’s three-stage nuclear power program. Operation of PRTRF to reprocess the thoria fuel bundles irradiated in PHWRs. This will be a major step from laboratory-scale studies to engineering-scale experience in thoria fuel reprocessing. PSAR for AHWR will be prepared and submitted for review to the Atomic Energy Regulatory Body (AERB). A site for AHWR is expected to be announced. MOU for development of Turbine and auxiliaries to be signed with M/S Bharat Heavy Electricals Limited (BHEL).